A new visitor attraction in a disused Grantown rail station has won approval from the Cairngorm National Park. 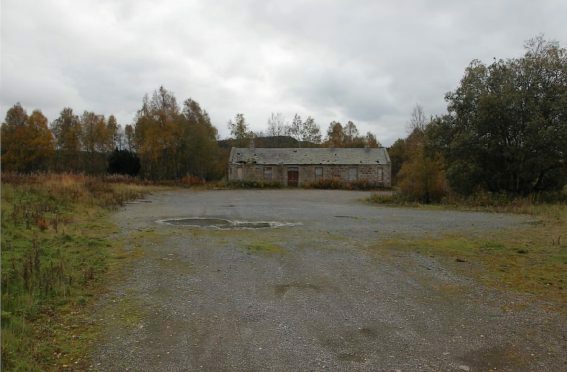 Revack Lodge Estate intend to turn the long-abandoned Grantown East station on their land into a craft centre and shop, with former railway carriages being transformed into a cafe. A new Highland Games area demonstrating skills such as caber tossing and hammer throwing will also be built on land near the refurbished station. A number of objections had been lodged against the plans, mainly concerned with the access to the site from the nearby A95 Aviemore to Elgin road. Yesterday it won the backing of the Cairngorms National Park Authority (CNPA) planning committee. Speaking at the committee’s meeting in Ballater, planning officer Katherine Donnachie said: “While some concerns have been raised by neighbours, and I am sympathetic to those, this development is fully supported by our policies including supporting economic growth – especially in relation to expanding the tourism offering in the national park. CNPA planning convenor Eleanor Mackintosh said: “I think this development is set to offer visitors a unique and interesting experience and it will bring a welcome boost, not just to Grantown but the surrounding area.